I started the work week by replenishing my everyday supply of snacks. 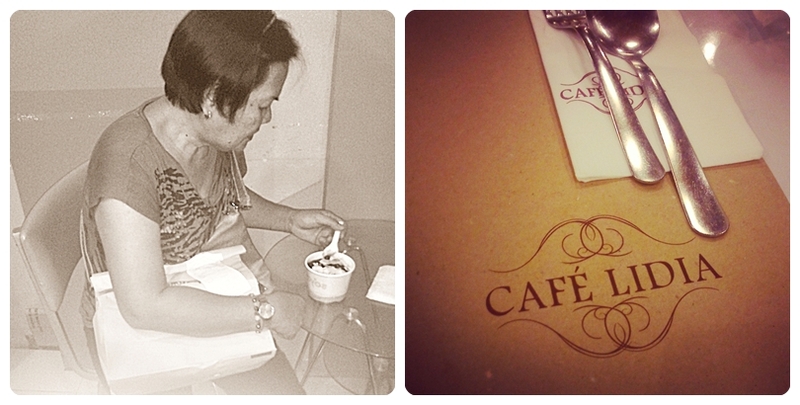 Since our students are not yet around, we have limited and expensive choices from the canteen. Over time I also discovered that I can save if I buy in bulk from large supermarkets. The only disadvantage of bringing in a lot of goodies, I have to beat the temptation of not consuming everything. Unfortunately, my EQ got out of control today. Hence, my weekly supply almost ended up in one daily consumption. To my defense, I've been battling some challenges at the workplace. 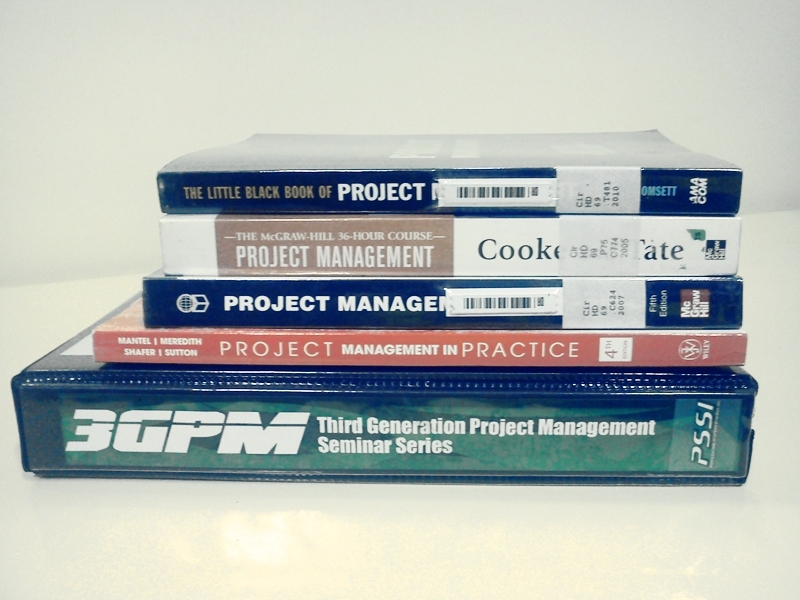 I mentioned in my previous post that I'm bound to teach Project Management for the first time. The subject is fine. It's just that I'm having a hard time reconciling my knowledge in practice vs. the structure of teaching the subject. The trend in the academe today is to tap industry practitioners to train the kids. It's a great idea but it's not so easy to implement. In my case, I'm bridging my knowledge from the battle field vs. academe's own body of knowledge. To reorient myself, I've been collecting a number of books lately. Most of my friends know me for my addiction to flat shoes. The excess income from my freelance works will surely be devoted for a pair of flats. I'm very particular with flat shoes because of all the members of the female populace, I'm the lone member who never learned to wear heels. Yes, I've been living a flat life since birth. Aside from flats, another evidence of my shopaholic hormones is my growing collection of bags. I used to think that I only have a few pieces. Turns out, I found 20 bags in my cabinet when I did some decluttering last year. To my defense, I never owned any of those signature brands. My most cherished bags are from Lacoste, Girbaud, and Mango. 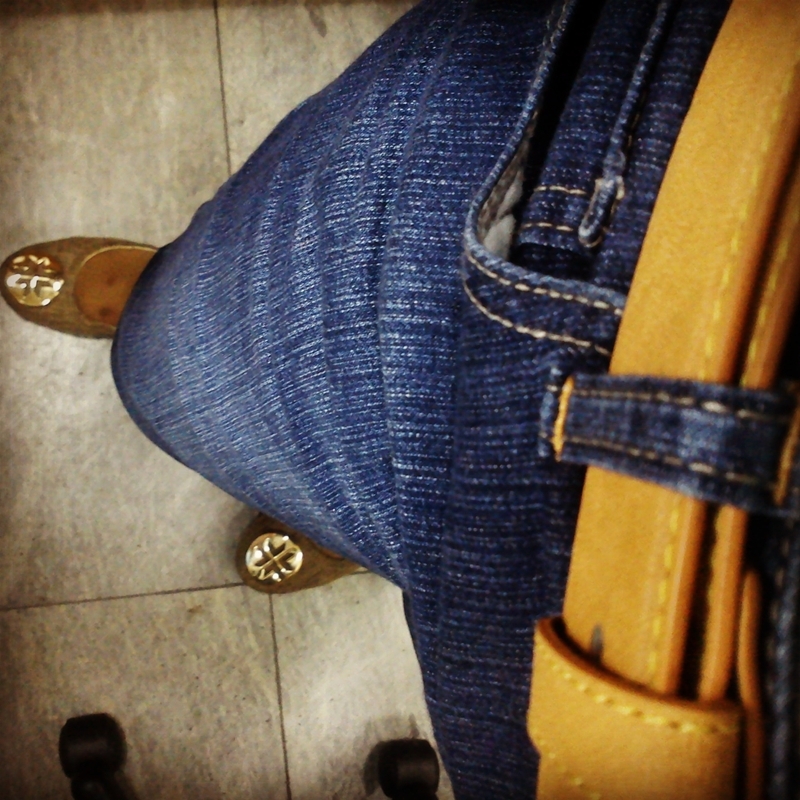 But being a female shopaholic, I guess its natural for me to envy the LV collections of my blog friend, Zigrid (Hihi Hi friend!) Though recently, my bag addiction leveled up when I discovered Longchamp's Le Pliage series. Upon further research, I learned that Le Pliage bags are sold cheaper in my neighboring Asian countries. When I went to Taiwan, I was tempted to buy from their Duty Free shops. 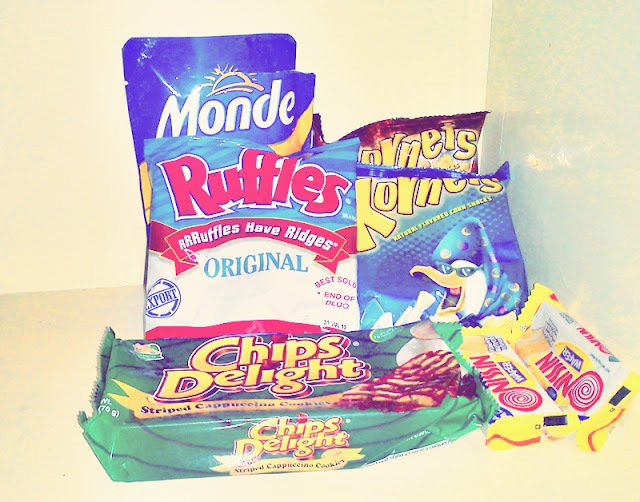 But since it was my first trip abroad and I was all alone, I was afraid to splurge. Months after, I went to Hong Kong with my friends and there. I was able to fulfill one of my shopaholic dreams. I took home my first expensive bag. 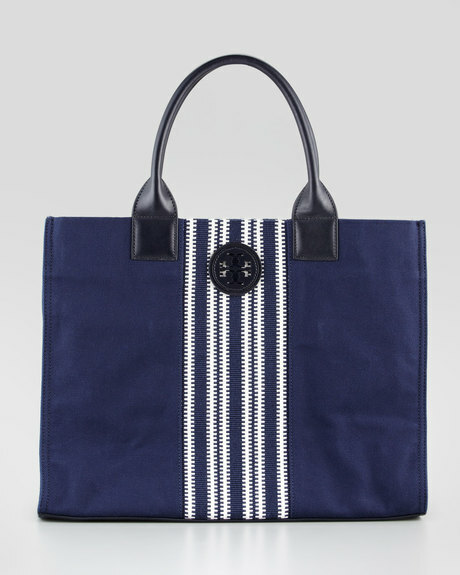 I bought a medium long handle Le Pliage in blue. It has to be in my favorite color! Since then, I have abused this piece. As compared to other expensive bags in the market, the Le Pliage series looks so simple. Some would say that it doesn't commensurate the price. Regardless of everyone's opinion, here are my own selfish and weird reasons why I love the Le Pliage. 1. It's lightweight. The Le Pliage is made of light nylon that is surprisingly sturdy. It gave me a break from my heavy leather bags. 2. It can survive the extreme weather conditions in my country. It's water proof so it's safe to bring it even during the rainy season. Since it's made of nylon, the material will not worn out or chap during the summer months. 3. It's surprisingly spacious. This medium Le Pliage can store my iPad, foldable umbrella, kikay kit, large wallet, mobile phone, coin purse, iPod nano and my monthly dose of hopeless romantic paperback. 4. It's stylish in my eyes. I find the Le Pliage fitted for every member of the female populace. It's elegantly simple, despite the fact that it's not the bag for formal ocassions. Since I rarely attend events and all those hotel gatherings, my Le Pliage fits my everyday lifestyle. All the while I thought that I was already contented with my first Le Pliage. I failed to remember that I'm a full pledged shopaholic so one bag will never be enough. ;) I now have three Longchamp in my collection. I bought my second piece from a trusted local reseller. I decided to try the medium short handle in loud orange or Mandarin. This one is the cheapest since I bought it through a deal. My recent piece was my gift to myself. I bought this from my trip to Singapore. If there will be more freelance works this year, I might acquire another Longchamp again. But if I will really be blessed this year, I wanted to try other brands. In particular, I'm eyeing another nylon bag. 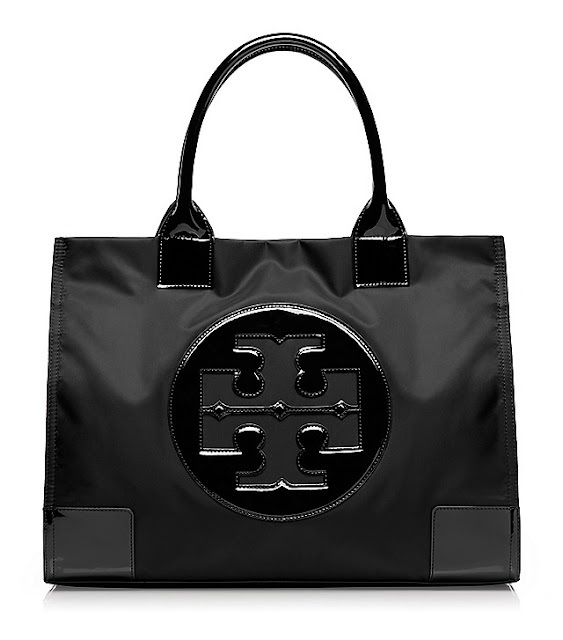 This time, I wanted something from Tory Burch. Tomorrow will be the last week of summer. Where did time go? Half of the year is finished and soon, it will be my favorite time of the year again. Haha When June steps in, another school year will start. Traffic is expected to intensify. Travel hours will lengthen. The train will get crowded again. All these signal that I'm back to reality. I'm back to my after-office job as a college instructor. More than these everyday hassles, I felt relieved because I'm assured of the teaching opportunity. 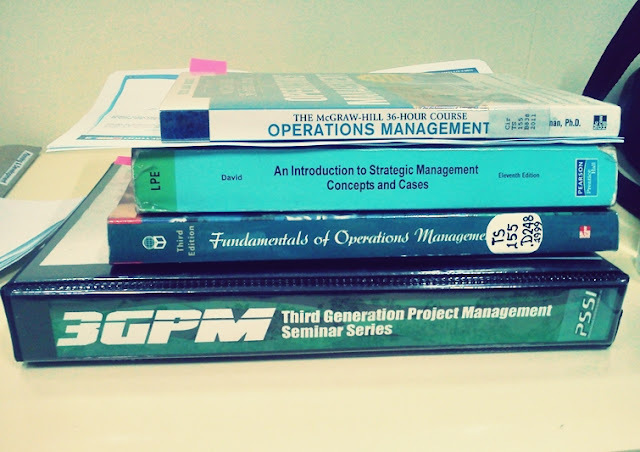 This semester however is quite challenging because I was given new subjects to handle. I'm trying my best to be a good teacher here. :) I wanted to get things planned ahead. In like manner that I'm always challenged for new opportunities. 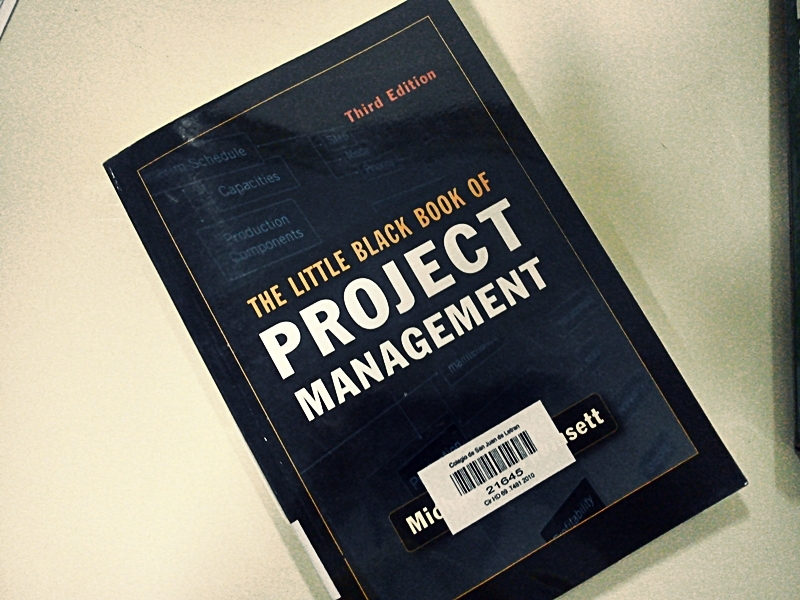 I've been involved in Project Management for quite some time. But I know! There's a great difference between practice and teaching. Hopefully, I'll be able to infuse my limited experience to teaching. I have less than a month to prepare and six months to carry out my plans. Work started this week with my boss returning from a trip abroad. Aside from being the most patient and understanding boss, he gives the greatest gifts. I have to consume my excess leave credits from work. So last Friday, I took advantage of the opportunity to meet my dear friend A. We watched our most awaited movie. Five out of five stars! It was worth the wait. But as always, the ending meant another year to wait for the sequel. 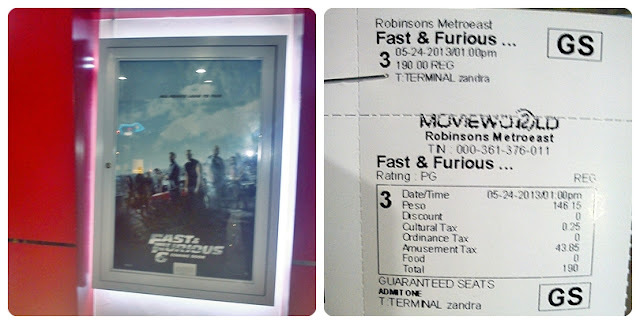 After a great movie, A and I did our favorite past time. Food and shopping! 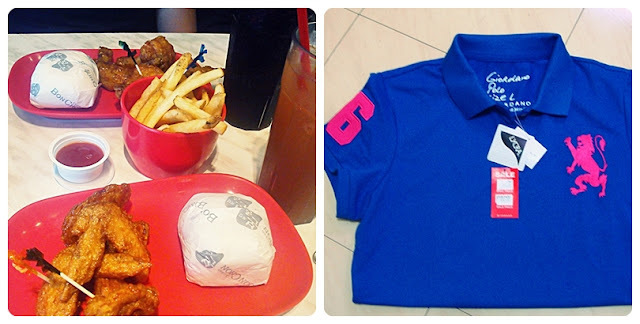 We went to our favorite Chicken BonChon and took advantage of a sale from Giordano. I've been wanting to purchase these numbered shirts from Giordano. They come in a little hefty price but during a mall wide sale, they went as much as 60% off. 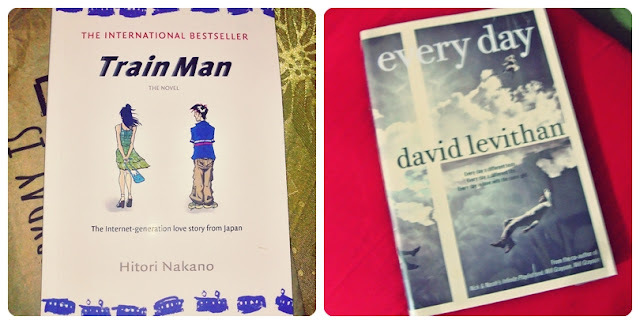 I'm currently reading David Levithan's Every Day. This is the first time I'm reading David Levithan. Hopefully, I'll finish this next month. Train Man is authored by a fellow Asian and by the looks of the cover, yes it's another hopeless romantic read for me. I've been mentioning that it's the last week of summer for us. Wishing everyone a great Sunday ahead! I love potato dishes. I love potato salad, baked potatoes, mashed potatoes, potato chips, and everyone's favorite, french fries. Never mind the fattening elements brought by the excessive oil. Oh well, I believe that's what make the french fries irresistible. One of the french fries I love is NYFD. I discovered NYFD when I watched my first basketball game at the Araneta Coliseum. Since then, enjoying a bucket of NYFD fries and dips made me look forward to the rare times I watch a basketball game. My most awaited NYFD tumbler of fries! More than the fries, I like their graphic design too. The tumbler was overflowing with fries but yours truly can't wait for the photos to be taken. I grabbed a few sticks on the way home. 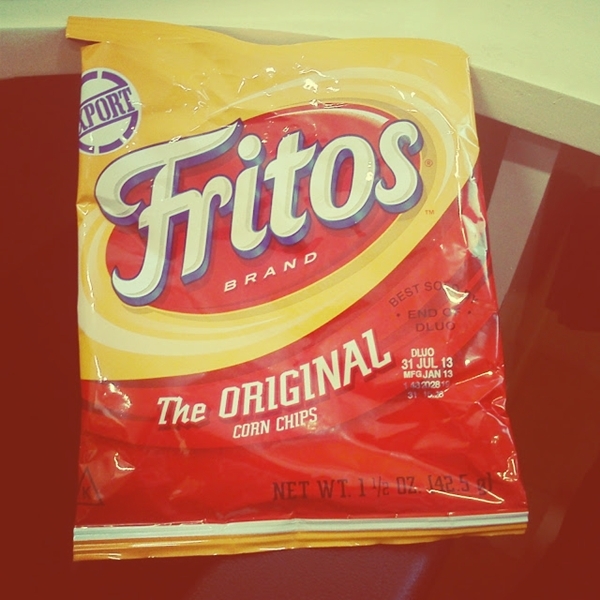 Perfect lethal combo of crisp fries and flavorful dips! To know more about NYFD, you can visit their page here. I'm not a fan of self-help, inspirational and all those related non-fiction line. I would love to listen and learn from the experienced authors of the these books. But for some reason, I always feel bored as soon as the preachy atmosphere is beginning to settle. 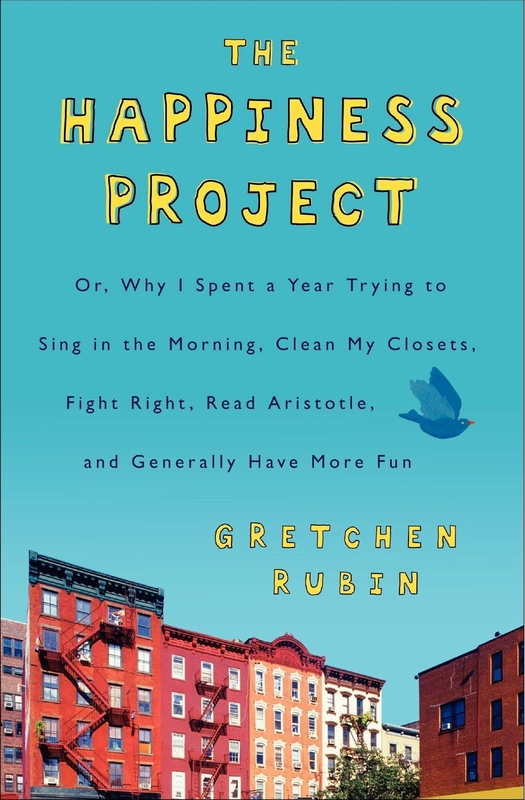 The Happiness Project is one those books that doesn't fit in my typical preference list. I have been loyal to my little shelf of hopeless romantic reads. How come it landed on me? When I was searching for new reads, I often encounter The Happiness Project in the list of best sellers. 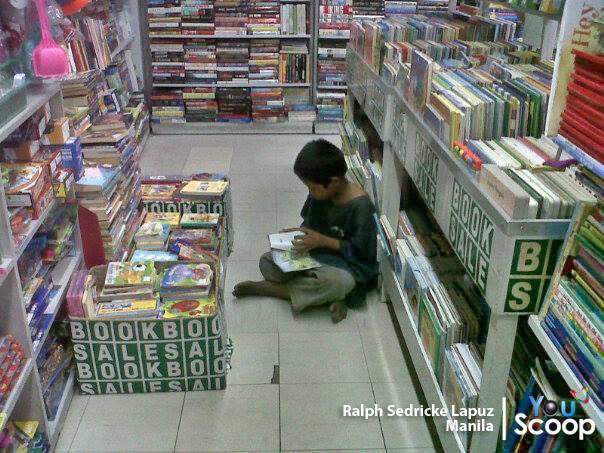 It was consistent in US sites and even to our local bookstores. As always, my curiousity prevailed. I took home the cheaper paperback. I admit that my thoughts about The Happiness Project can become tainted by my biased preference. Added to this, my reliable friend told me that she didn't finish the book. She felt bored. Despite the negative views, I decided to pursue the book. In a nutshell, the book related Gretchen Rubin's journey of discovering and finding happiness in a year. The entire book chornicled her entire journey, realizations, resolutions and struggle on how to be happier. Gretchen is happily married and blessed with two wonderful kids. She have the perfect life not until some realizations settled in her. She wanted to be happier. In pursuit of understanding and finding ways to become happier, the book was conceived. I will not deny that I was tempted not to finish the book. I felt bored and I was beginning to lose connection with the author. I agree with Gretchen's sentiments and realizations. In fact, every point she raised about finding happiness is well researched and founded by the works of philosophers, saints and even some religious doctrines. Unfortunately, I felt disconnected with the book because at some point, everything was all about Gretchen. The element where the author can involve and make the reader a part of the story faded. It was like joining a conversation dominated by one person. I'm guilty of buying a lot of things, especially if they are offered to me like candy during a mall wide sale. Only to later find out that I don't need these items. Gretchen related how living with less made her happier. It sounds too materialistic but at some point, this is true. Gretchen emphasized on buying things that we really need or those that can improve our daily routine. A new set of bed sheets that can provide longer and comfortable sleep, that set of real pearl earings that fits every woman regardless of ocassion, or that much coveted vacuum that can reduce the cleaning chores. Instead of investing on wants and all those luxuries we rarely use, money should be invested on things that can make our lives easier, better and eventually, happier everyday. I will never forget Gretchen's firm decision to purchase 6 to 8 sets of crisp white shirts from Bloomingdale. Her point is that despite the numerous clothes in her closet, she still prefers and looks forward to her classic white shirt. We keep on purchasing clothes that we know, we can't even wear everyday. Gretchen's point is that when you splurge, venture to those that you look forward to use everyday. The main point here is simple. You cannot make other people happy, if you are unhappy in the first place. How can you share something you don't even have? So we must not feel guilty of our attempts to find happiness. Gretechen's path to happiness was intensified when she finally decided to blog. Her horizons widended, she met different people, and learned from other people's experiences. One thing I appreciate about The Happiness Project is the constant reminder that happiness doesn't require a full swing change. Managing expectations, rekindling friendships, making means to create quality time with the family, and all those random acts of kindness will lead the path to happiness. Overall, I consider the book as a good read. I'm giving it 3 out of 5 stars. It failed me to some extent and didn't push me enough to become happier. However, the little reminders and insights drawn by Gretchen's experiences were good enough to make me see happiness in another way. PS If it is not too much to ask, please read and tell me your favorite Firmoo eyeglasses. Details are available in my previous post. Thanks in advance. I like Breton shirts. I particularly like the classic stripes of blue and white. 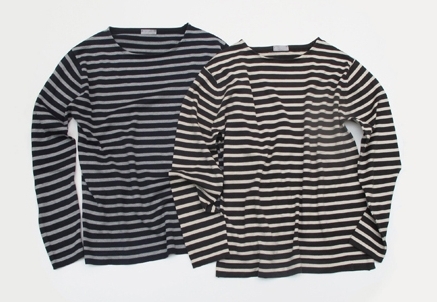 My first Breton shirt came from Zara. This was also my first purchase from this well loved expensive store. Hold your breath, stomach in!!!! I made a successful attempt in hiding my heavy and pointed belly here. Hihi But in reality, I look way worst. Unfortunately, the structure of the Breton shirts doesn't complement my abundantly healthy belly. The fitted structure and the horizontal stripes give me additional width. Despite of everything, I continued purchasing a couple more of these shirts. I made this in the hope of inspiring myself to religiously exercise, diet and finally lose weight. Will I ever be able sport this look? My ultimate peg is Olivia Palermo! 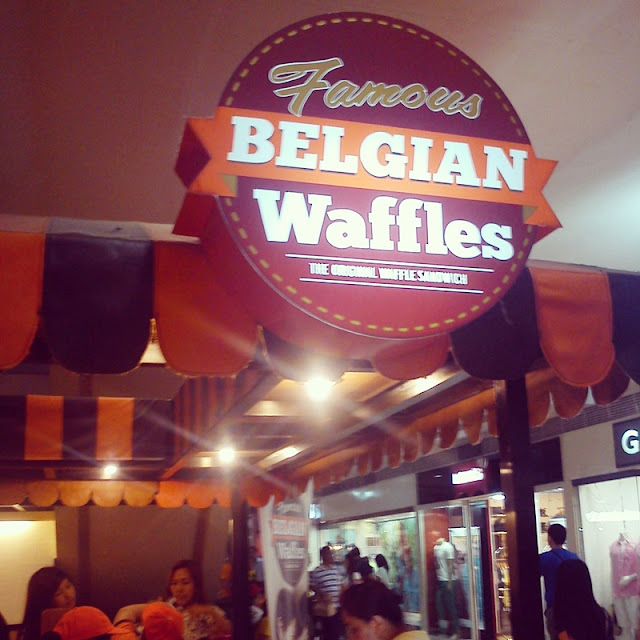 I cannot recall the exact place where I first encountered Belgian waffles. The nearest that came to my memory was in Starbucks. They offer Belgian waffles topped with chocolate and whipped cream. Since it's sold at Starbucks, I'm always hindered by the little hefty price tag ;) Aside from Starbucks, I can't really identify a cafe or restaurant that offers the best Belgian waffles. In my recent mall hopping adventure, I saw this attractive wooden kiosk. There were many people around. As my father taught me, long lines of customers always mean great food! As expected, I joined the bulk of waiting customers for their own freshly prepared Belgian Waffles. Famous Belgian Waffles is the brand responsible for the long line of hungry customers. Internet research made me discover that the company is locally operated. I initially perceived that the product might have been franchised abroad. 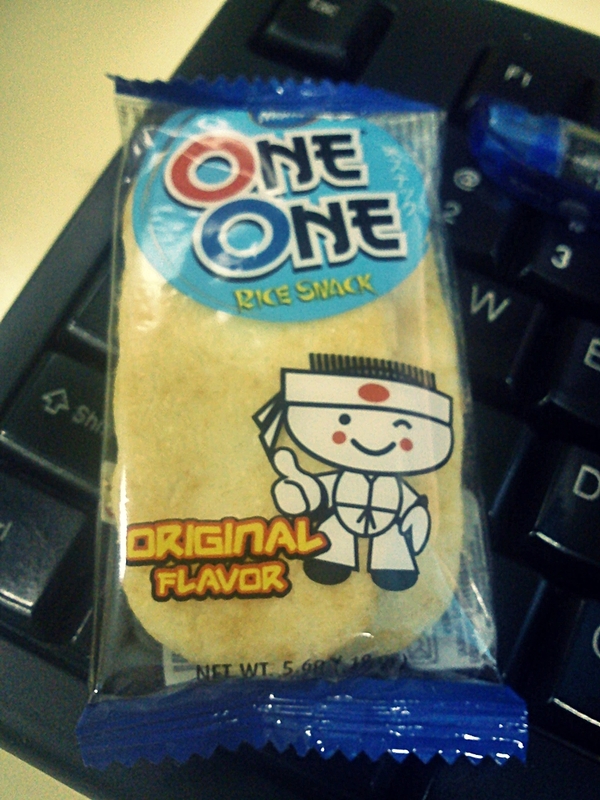 To my surprise, it's locally owned and fitted to the taste buds of the Filipino market. And since I'm already doing some research here, I was surprised to discover that Belgian waffles didn't really originate from Belgium. It was popularized in North America and is often eaten as breakfast. In the case of the Philippines, I was surprised to discover that a Filipino company ventured to develop a product that originated from the other side of the world. Hooray for the creative juices of entrepreneurship! 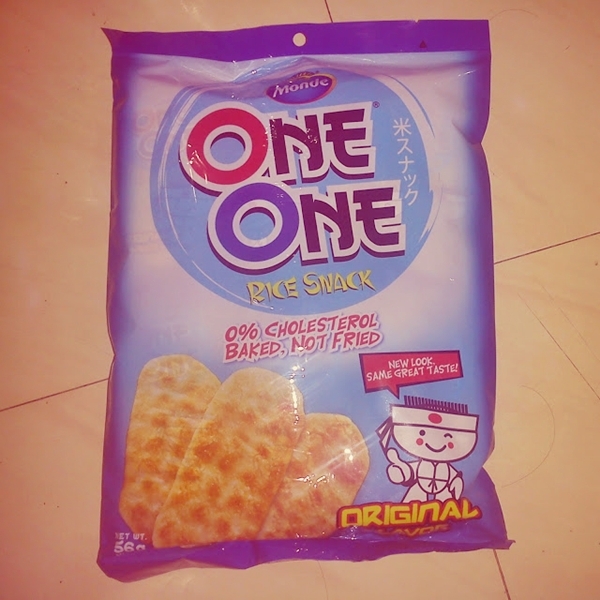 Little do we know, this Pinoy product might conquer other countries too. Anyhow, let me proceed with the real intention of this post. I'd like to share a review of this Famous Belgian Waffles. 1. The Belgian Waffles are affordable!!! The most expensive variant was Php 55. You can purchase a Belgian Waffle for as low as Php 35. 2. They offer variety. The Belgian Waffles are not limited to chocolate, syrup and whip cream. You can choose from chocolate, peanut butter, cheddar cheese, strawberry, and hazelnut. The spread can be combined with ham, banana, chocolate, blueberry and strawberry. You can see their full menu here. My favorite combinations include ham + cream cheese and banana + peanut butter. 3. The waffles taste great. Need I say more? The bread perfectly complements the inside fillings too. Though I believe that the waffle is best partnered with the sweet spread and filling. 4. The size of the waffle sandwich is commensurate to its price. It's not exaggeratedly huge or tiny. It's perfect for a heavy snack. 5. It's freshly prepared! 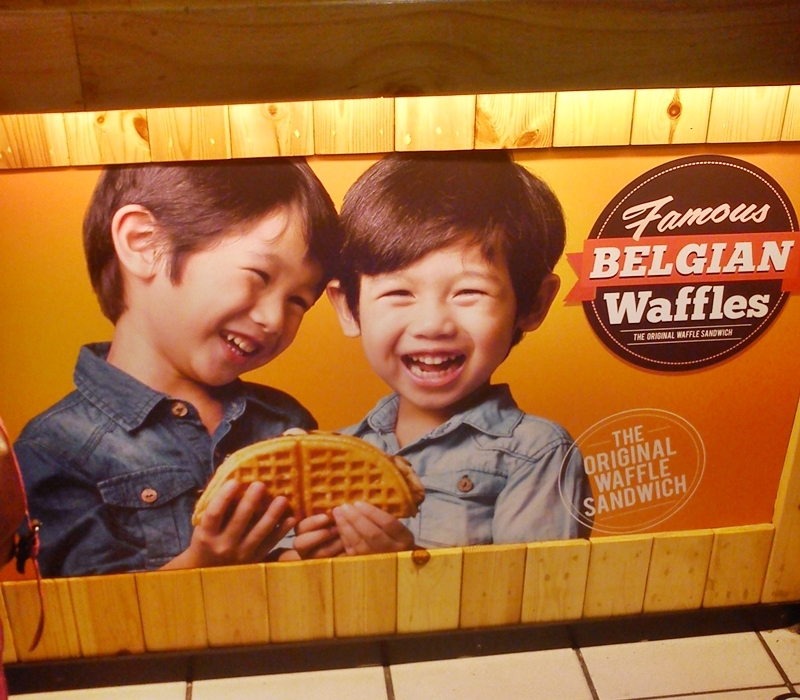 You can see your own waffle sandwiches prepared. 6. They are growing their branches. They are situated in key shopping malls and recently, I read that they have outlets in selected schools like UST and DLSU. Lucky students! 7. The sales personnel are very accommodating. Despite being exposed to the heat of the waffle maker, their employees don't look grouchy and harassed. They always serve with a smile and render that rare thank you to their customers. 8. Waiting period is not as long as I was expecting. The two branches I've been are manned by enough personnel to speed up the ordering process. 1. The waffle sandwich is not that crunchy. Though this is fine with me. But as compared to what is being served in Starbucks and a few hotels, their version is rather soft and chewy. 2. It is still yet to be known. The company is existing for quite a while but it's only now that I discovered their existence. Definitely! The taste of the waffle sandwich, product variety, price and excellent customer service serve as its strong selling points. You can find The Famous Belgian Waffle at Facebook or through their company website. My recent trip to Palawan brought me some skin problems. The extreme rashes on my legs has been healed by incessant application of petroleum jelly. The only problem left now is my toasted and roasted face. I'm desperate to have my old skin back so as always, my trips to Watsons are becoming more frequent. I've been searching for facial products that don't really whiten the skin. I wanted something that will restore my original skin tone. Unfortunately, I haven't seen one from Watsons. In effect, I ended up purchasing whitening products. The first product I took home was Olay's Whitening Cream. After some weeks, I was encouraged to try Myra's VitaWhite Whitening Face Lotion . I will not review any of these products. At this point, I'm not sure whether they are serving their purpose. I will instead share my experience with a facial cream from the locally produced organic line, Human Nature. I can vouch for the effectiveness of the few Human Nature products I've tried. I started with their shampoos and conditioners. Even my Aunties have become loyal customers. The only problem with Human Nature is their limited distribution channels. We used to avail from a personal dealer. In my recent trip to the supermarket, I found a shelf of Human Nature products. Happiness! This means that I don't have to order and wait from an individual dealer. My shopaholic hormones attacked again so I went home with a bottle of shampoo, conditioner, moisturizing oil and this night cream. I wanted to write reviews for all the Human Nature products I'm using. But since they are too many to be squeezed in one post, let me start with their Moisturizing Night Cream. Catch up on beauty sleep as our Night Moisturizing Cream works its magic overnight. Plant collagen infuses skin with maximum moisture as skin-essential vitamins and minerals help stimulate the regeneration of cells. Wake up with a refreshed, healthy glow! 1. Human Nature products are available in selected retail outlets such as Beauty Bar and Rustan's Supermarkets. You can also purchase online here or through a personal dealer. 2. It doesn't complement my oily skin. Since it's in cream, my face feels oily as soon as I apply it. 4. If skin regeneration (as what it claims) meant hiding those fine lines and achieving an even skin tone, the product still has to prove that it really addresses this aspect. I haven't felt these effects of the three months I've been using it. 1. It's organic! It responds to the market's growing preference of shifting to all natural. 2. Each bottle has a visible expiration date. 3. It's relatively cheaper as compared to other mass produced local moisturizers. The small (50 ml) bottle costs Php 149.50. 4. I love the pump packaging. It prevents spillage. 5. It lasts for a long time. My first purchase is still alive. I've been using it for 3 months. A small amount of the cream can cover your entire face. 6. No strong scent. Though some bloggers find the scent weird. For me, it smells like a mild baby powder. 7. Skin feels softer as soon as I wake up. This is the immediate effect I've observed. Except for the oily feel, skin feels softer even if I deprived myself of sleeping hours. 8. It lessened the pain of my sunburns. On the first few days after my trip to Palawan, I would feel a burning sensation everytime I use my black pearl soap or any facial wash. After applying the cream, the pain is gradually taken away. Yes. It's a relatively cheap organic cream that can perform the moisturizing function. However, please consider its creamy form that might not complement an oily skin. As for its claim of skin regenerating effect, this is something I have yet to discover. Had it not because of my dear friend T, I wouldn't be able to finally taste the much hyped J.Co's doughnuts. Thanks T! J. Co's doughnuts arrived in the Philippine market some months ago. Despite the company's attempts to increase its operations, the long lines in their limited branches are still existing. One of my friends was dying to purchase a box. But since we are both working, we only have after office hours to purchase. We never attempted to brave their long lines. However, my friend was insisting that we took a leave from work to beat their notorious lines. I didn't give in to my friend's request because I feel that it was an exaggerated attempt. A vacation leave in exchange for a box of J.Co? Not really me. I just told my friend that the hype and long lines will eventually diminish after some more months and when the company managed to spread their branches. I shared the entire box with my family. I managed to taste around four variants. So after the much awaited J.Co experience, here's what I have to say. 1. It's not that sweet. This might not sound as good news for some. But as compared to Krispy Kreme and Go Nuts Donuts, the sweetness of J. Co's doughnuts is tolerable even to the taste buds of my health conscious parents. 2. The size of each doughnut is perfectly enough. 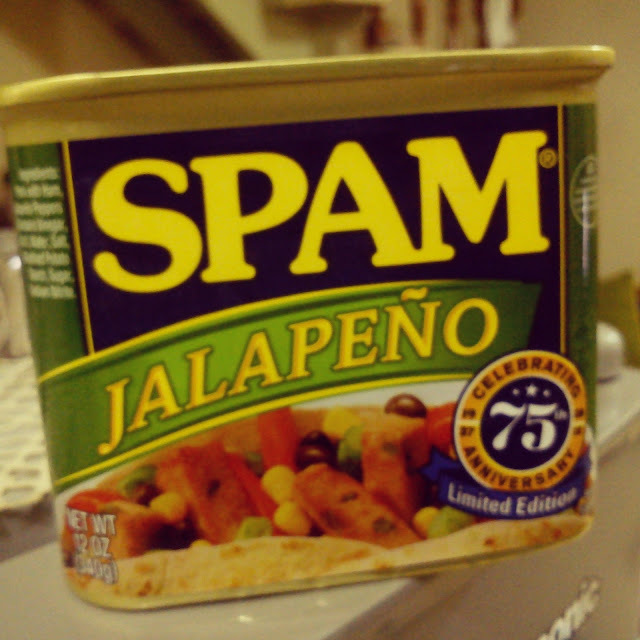 It doesn't lack in servings "bitin" or exaggeratedly huge to be consumed by one person. 3. It's a bit pricey but not as expensive as I thought. The dozen sells for Php 350. 4. The bread of each doughnut is soft, thin and chewy. 2. They still have limited branches. 3. I only enjoyed three variants, Oreology (doughnut with sprinkles of Oreo cookies), Alcapone (sprinkles of almond nuts) and Avocado Dicaprio. Although I haven't tasted their full 30 variants. Would I recommend J. Co? I'm not saying that it's not worth it. The long lines and all the hype of the product gave me high expectations. Unfortunately, I didn't find the efforts commensurate enough for the taste of the doughnuts. I'm not saying that it doesn't deserve my recommendation. In my own biased opinion, first time customers can simply wait for more months. I'm having a hard time making this post. I don't know if its the internet connection or my netbook that has been causing my problems. Either way, both don't favor my need to update my week long sleeping blog. I've been almost absent online because of work. I didn't go out of town. Workload has been fine. It's just that my boss tagged me to assist in a week long meeting. I've been deprived of internet connection at the workplace. By the time I get home, I'm already too tired to sit down and wait for my struggling netbook to boot up. Next week, my boss will be out of town (Hooray! 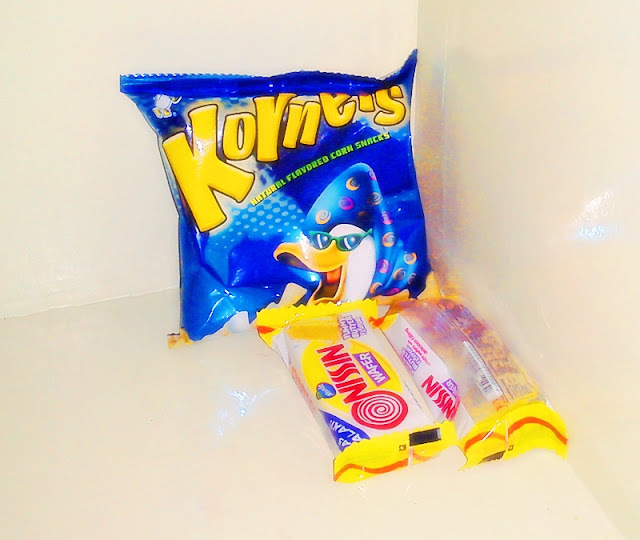 hihi) so I can compensate myself with more time for blog hopping. The past long days at work always end up in one of my happy places ... shopping malls! Truth is, I've been shopping a lot lately. 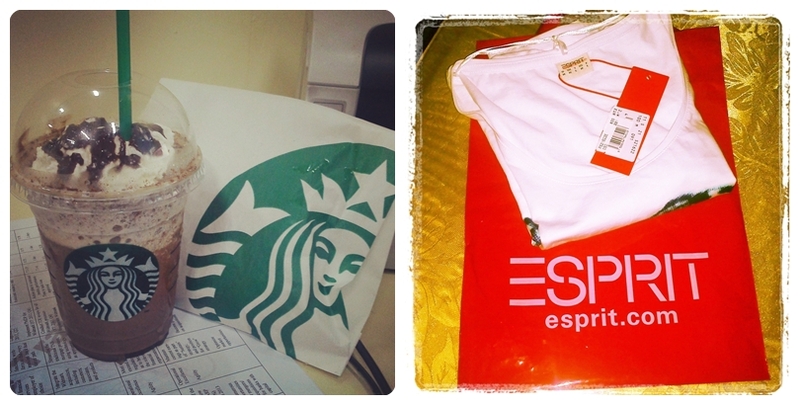 My shopaholic hormones is overreacting again. As expected, another pair of flats, bag and some tops have been added in my shopaholic collections. Bad! Bad! Bad! How many times I have to tell myself that this should be the last splurge? Finally! I had the chance to taste the much hyped J.Co doughnuts in Manila. Whenever I attempted to purchase a box, I was always welcomed by the long lines of customers. One of my friends was even asking that we took a leave from work to finally experience J.Co. I never gave in to my friend's demand. I felt that it was too much demanding. A vacation leave for a box of J.Co? Not me. If it would mean a 70% off sale from Zara, Gap, Mango, Uniqlo or Cotton on, I will surely give in. Haha You all know me and my shopaholic hormones. But how did I obtain my first box of J.Co? Another friend with a great heart must have heard my lazy sentiments. Haha Last Friday, dearest friend T surprised me with this box. I was exchanging text messages with her about my recurring sadness attacks and being the dutiful friend, I guess she made means to make me happy. So there! My first box of J.Co doughnuts experienced for free! Since I'm loving writing reviews, I might write a review for J.Co's doughnuts on my next posts. This one, I didn't get for free. This is an oreo cupcake I got from J Cupcakes at SM Megamall. I bought two pieces and I swear! I couldn't resist the oreo inspired icing. Photo doesn't make justice. The cupcake tastes way better than its devastated look. I bought this from another all time favorite, Sophie's Mom. While I've always been addicted to their Red Velvet cupcakes, I failed to realize that I've been depriving myself of their mouth-watering Nutela Cupakes. Another sweet treat from Sophie's Mom. Here's a unique rainbow cupcake that delighted the kid at heart in me. Someone in the family can't wait to have the photo taken ;) My family loves Pizza Hut, especially the delivery services. We are spared from the hassles of visiting the branch and we can avail of their delivery deals. We got a second pizza for a discounted price. Double the pizza, double the happiness! Doubled pizza? Double the jogging hours!